Through your church’s faithful Cooperative Program giving and seasonal offerings, Oklahoma Baptists are able to join in fellowship together in the advancement of the Gospel throughout the state, the nation and around the globe. 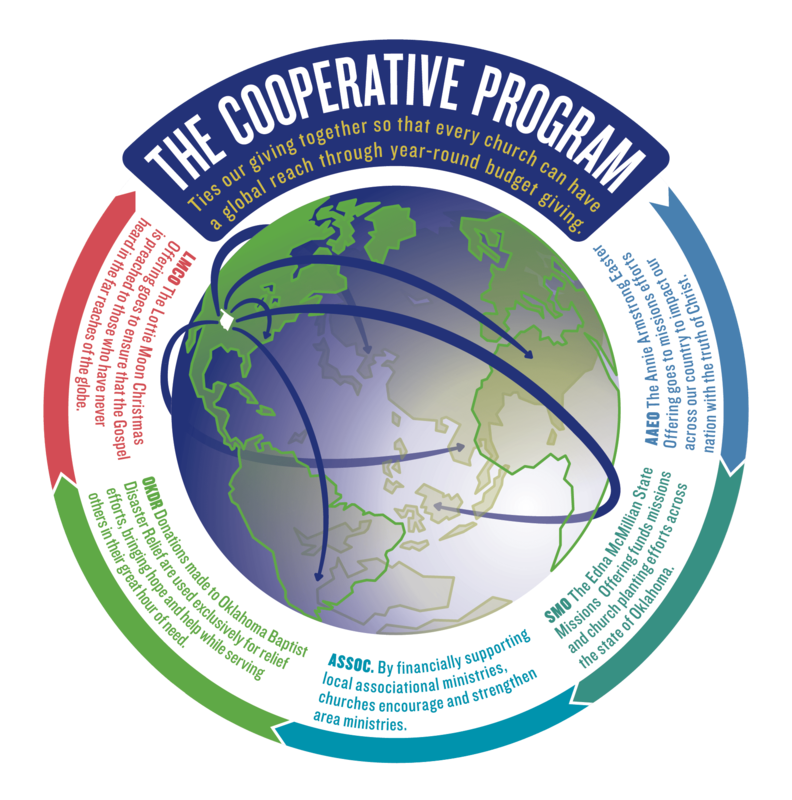 The Cooperative Program ties all our giving together so that every church can have a global reach through year-round budget giving. Seasonal Offerings have more impact because of the Cooperative Program. Because the Cooperative Program covers the administrative costs of seasonal offerings, 100% of these funds can go straight to the mission fields all over the world. Because your church gives faithfully through the Cooperative Program we are able to do more together. Pastor Will Wilson describes the powerful impact of the Cooperative Program in New Hope Baptist Church.